The following blog post is written by Benjy Stanton, user experience (UX) designer. My name is Benjy and I’m a user experience (UX) designer. I’ve just joined the Digital Publishing team at Office for National Statistics (ONS). 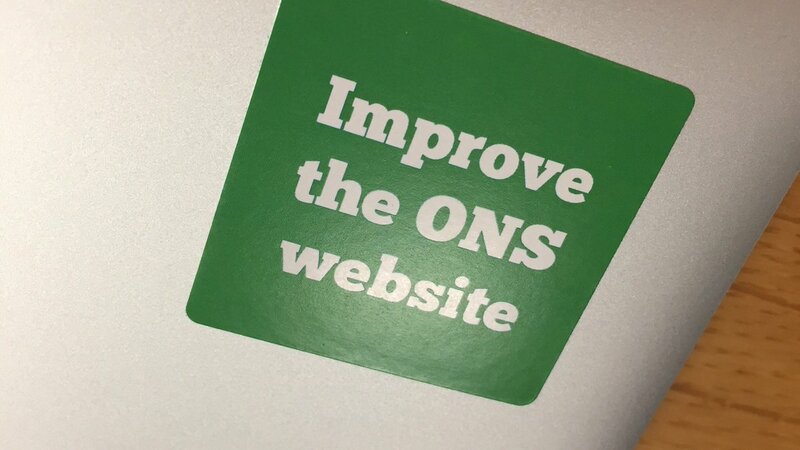 That means that I’ll be helping to make the ONS website better for our users. Part of my role will include growing an internal UX team too, together with the other new UX designer (also, confusingly, called Ben). I’m looking forward to figuring out how I’ll fit into the digital publishing team, which is made up of front-end developers, digital designers, user researchers and content creators to name a few. Previously, I was at a service design agency in Swansea called Leadin. A big chunk of my time there was spent at the Driver & Vehicle Licensing Agency (DVLA) where I helped design the ‘Tell DVLA about your medical condition‘ service, which has just gone live. Outside of work, I love listening to music, and I spend most of my spare time being ordered around by my three kids. I have also started a design meet-up in Swansea, imaginatively titled Design Swansea. We meet once a month for design talks, pizza and beer. I’m almost at the end of my first week at ONS. I haven’t got my head around the really big challenges yet, but I’m reliably informed that the ONS website is big. So helping our users to find the bit of data that they want is something that I keep hearing about. I’m also a big advocate for accessibility, and I’m really interested to learn how accessible our different products and services are. I’m planning a trip down to the other ONS office in Titchfield in the coming weeks so I can meet the data visualisation team. I also need to start observing some user research so I can begin to understand who our users are. Oh, and we are hiring more user experience designers and user researchers. So if you’d like to come and work with me, drop me an email!